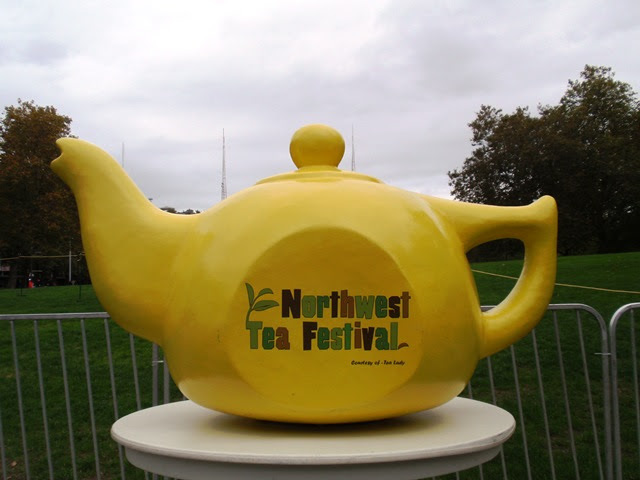 The 9th Annual Northwest Tea Festival took place at Seattle Center over the first weekend of October. The two-day festival offers tea tastings, workshops, lectures, demonstrations, and tea vendors. This year's festival was the perfect cure for the Pacific Northwest rain. 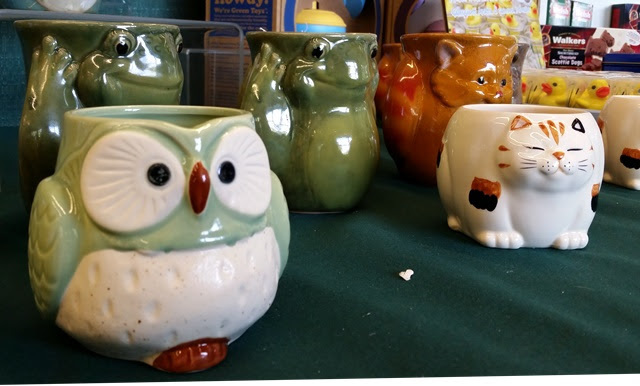 The sights and smells of rooms brimming with tea and the overall good cheer and enthusiasm of the people attending and presenting were truly invigorating. 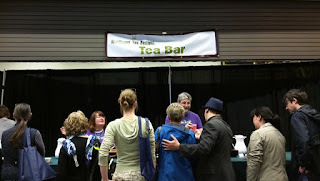 Several of my distant tea friends were able to attend this year, making the occasion even more special! 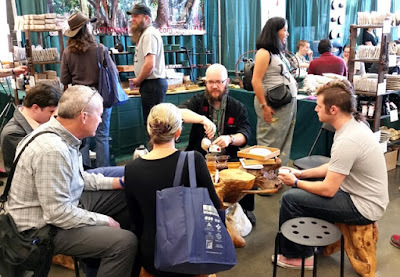 New features at the festival this year included a larger vendor space in Fisher Pavilion, a dedicated tea tasting and workshop space just steps away in Seattle Center Pavilion, curtaining to separate the main stage from the noise and distraction of the exhibit hall, and an improved admissions and workshop ticketing experience. Another new feature was the Northwest Tea Festival Tea Bar, hosted by Charles and Laurie Dawson (Whatcom Tea Enthusiasts Association). Here, festival attendees who missed out on the scheduled tea tastings could drop in for a brief tasting and comparison of fine teas. Thanks to Charles and Laurie's efforts and energy, response was very positive and this will hopefully become a recurring feature. 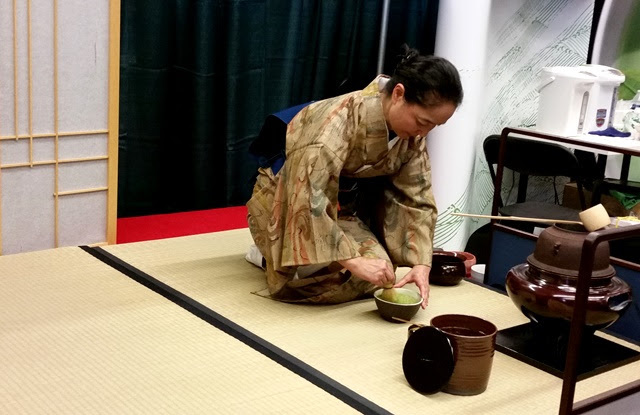 Sugimoto America offered tea ceremony demonstrations on Saturday and Sunday at their booth, performed by certified instructor Chiaki Ito of the Yabunochi School. It is always a pleasure to see Ito-sensei's temae (tea procedures). 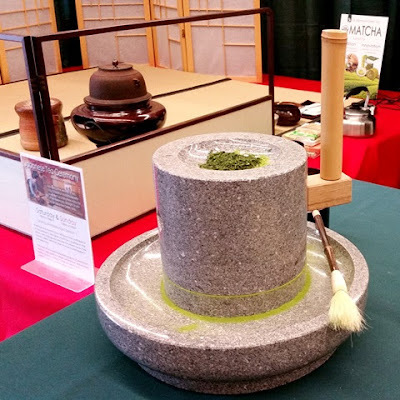 The Sugimoto America booth also featured a matcha stone mill that visitors could try out. 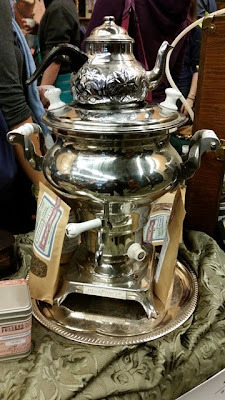 Add tencha leaves to the top, turn the mill with the handle, and fresh matcha appears below. 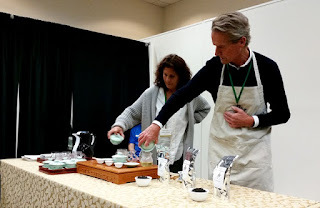 At the Crimson Lotus booth, Glen Bowers presented gongfu-style tastings of a variety of delicious shu and sheng puerh. 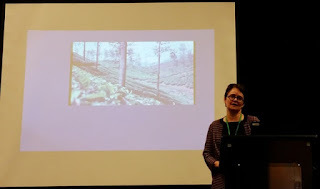 Moira Scott Payne, Provost and Vice President for Academic Affairs at Cornish College of the Arts, shared reminiscences and photos from her early life as a child raised on a Scottish tea plantation in India. She was born shortly after India gained independence from Britain on one of the last remaining British tea plantations just as this century-old way of life was coming to a close. Among her recollections, we learned that local women picked the tea while both men and women served as household staff in positions specific to the caste system in India. We also learned that the plantation house was built on an elephant walk and elephants are territorial about their migratory paths, so there was the occasional skirmish. The early years were idyllic for a child of a tea plantation owner with a doting Ayah (nanny) to look after her. At the age of 6, children on the plantations were traditionally sent away to boarding school in Britain or, like Moira, to a missionary school where they would see their families only rarely. The transition from a loving environment to the inhospitable conditions of a school in a time when tea plantation children were held in low regard was dreadful. Moira did point out that people were still generally friendly outside the school. After two years in school, Moira and her family moved back to Scotland, which was a culture shock all its own for someone who had never traveled outside India. For those who might be interested, Moira recommended reading A Tiger's Wedding by Isla Blair which describes the author's similar experiences as a child growing up on an Indian tea plantation. 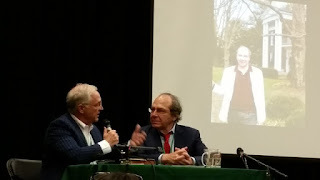 James Norwood Pratt and Bruce Richardson have a friendship that spans more than two decades and are both considered among the top authorities on tea in the United States. During this session, they discussed American tea history, current events, and upcoming news, as well as sharing entertaining anecdotes from their adventures in tea. Following are highlights from the discussion. 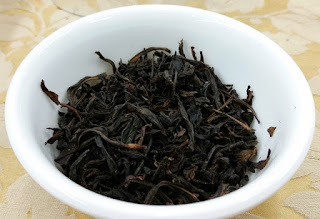 Through an impromptu quiz on teas that correspond with wines they reached a consensus with Pinot Noir being matched with Darjeeling and Cabernet Franc being matched with Keemun. 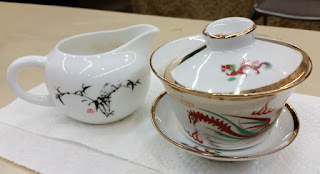 Robert Fortune, the Scottish botanist famous for smuggling tea plants out of China in the mid-1800s, returned to China at the behest of the American government to bring back seeds which would have been used to start tea gardens on U.S. soil. Unfortunately, the Civil War ended that project, though there is evidence that suggests some of those plants have survived and continue to fluorish. 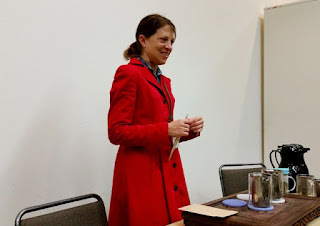 They spoke of Helen Gustafson, author of The Agony of the Leaves : The Ecstasy of My Life With Tea and the stalwart tea ambassador famous for reintroducing fine teas to the American dining experience with her work at Chez Panisse. Together with other tea scholars, they visited Boston's Museum of Fine Arts which houses the largest collection of Japanese works outside Japan and where Book of Tea author, Okakura Kakuzo, was curator in the early 1900s. 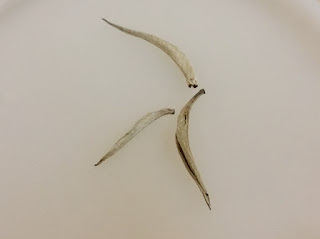 They also visited Georgia O'Keeffe's home where the tea tins in her kitchen were marked "Tea" and "Good Tea". 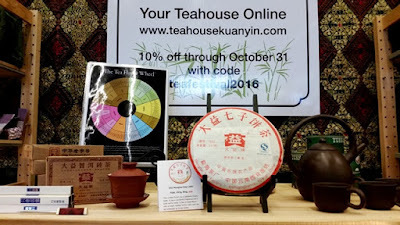 The American tea growing movement is spreading and the first competition, Tea of the United States (TOTUS), was held in July 2015. 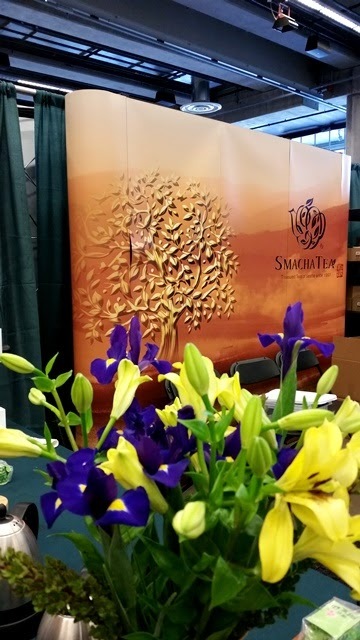 Locally, Skagit Valley-based Sakuma Brothers Farms have expressed interest in a serious return to tea production. The last English language book about tea before Pratt's Tea Lover's Companion was The Romance of Tea, published in 1935. Bruce Richardson and James Norwood Pratt are working together to release a new edition, published by Richardson and with editing and footnotes by Pratt. The book will first become available at the 2017 World Tea Expo. 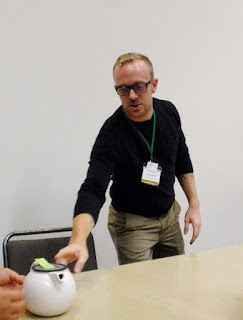 The session came to a close as Bruce Richardson charged us to "Go forth and drink good tea!" Harney & Sons was established in 1983 and Emeric has been working for the family business for 10 years. 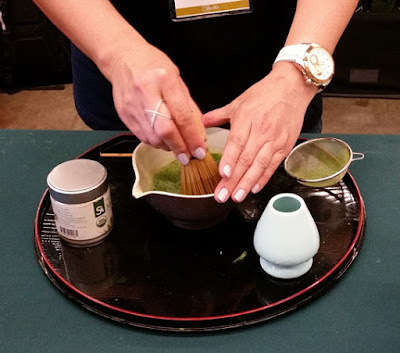 This tea tasting focused on Japanese and South Korean green teas. We learned that 40% of the tea in the US before World War II was Japanese. 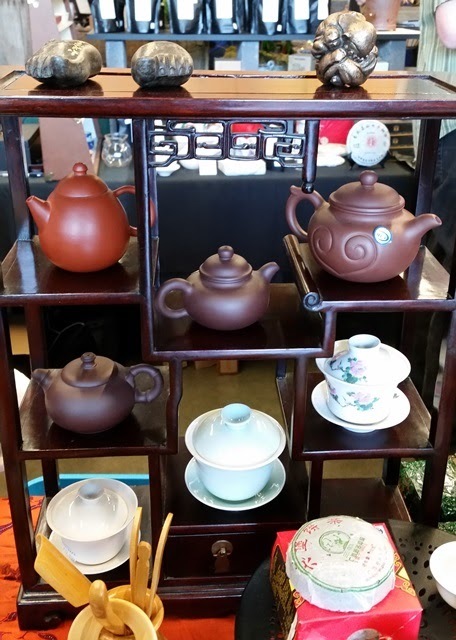 After the war, tea quality in Japan had dropped and the introduction of fukamushi, or deep steamed, teas helped to revitalize interest in and production of good quality tea. 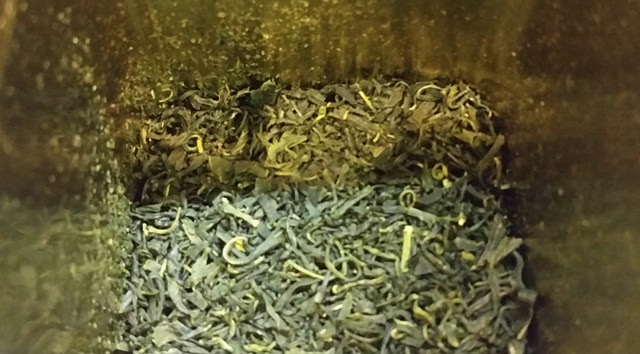 Often, high quantities of a tea indicate lower quality. Tencha (Japan): This is the tea at the final stage before it becomes matcha. 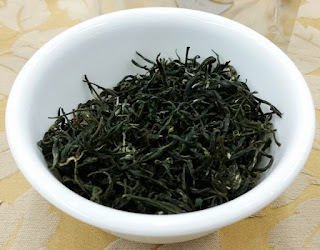 It has been steamed, then air-dried, and has a flavor profile similar to matcha with very little astringency. 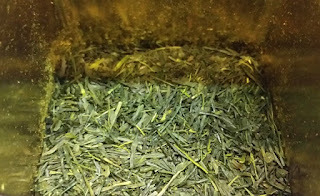 Scent of Mountains Sencha (Shizuoka, Japan): A sencha with thick and savory umami. 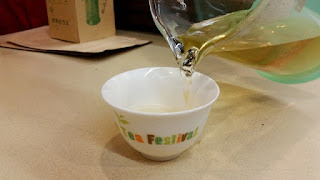 Jeju Sejak (Jeju Island, South Korea): A green tea with fresh, buttery, and fruity notes. Charity provided a focused tasting and comparison of two Indonesian white teas, sourced from the same garden on the island of Java and processed differently. 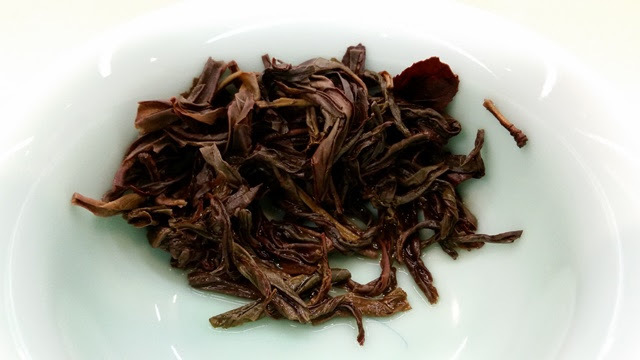 White Tea Bud: Steeping at 180°F provided sweet results while steeping at 212°F produced notes that were fruity, savory, and floral. 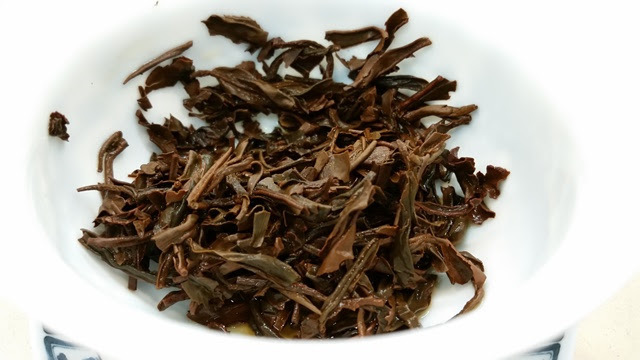 Grey Dragon: This tea is sun-dried 48 hours. 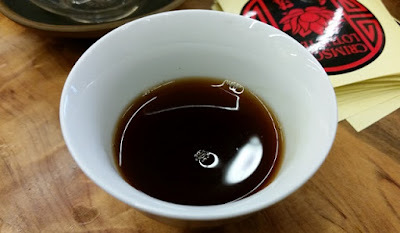 Steeping at 180°F produced a sweet infusion while steeping at 212°F produced bolder flavor with sweet, peach-like notes. Ward and Barbara Everson have been experimenting with infusing tea into food and we were fortunate to enjoy the fruits of their labor while receiving tips and recommendations on tea volume and infusing time to produce the most flavorful results. 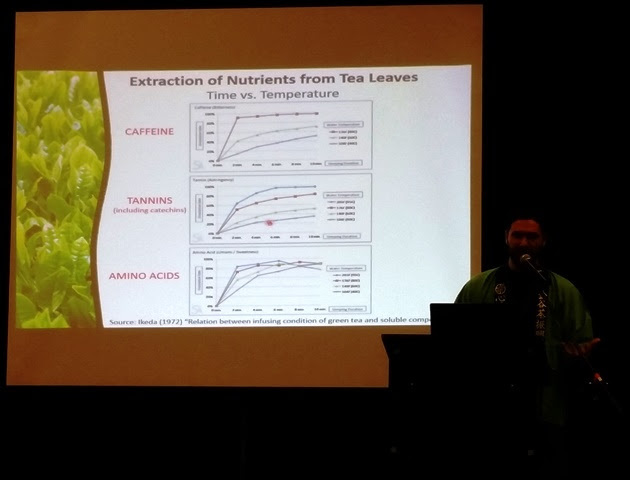 Noli Ergas presented nutritional and health information, including a comparison of nutrients found in Japan's most popular teas. 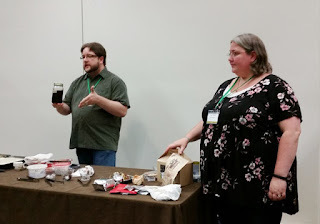 Ned and Catherine presented a tasting and discussion focused on three "fresh teas" from China. 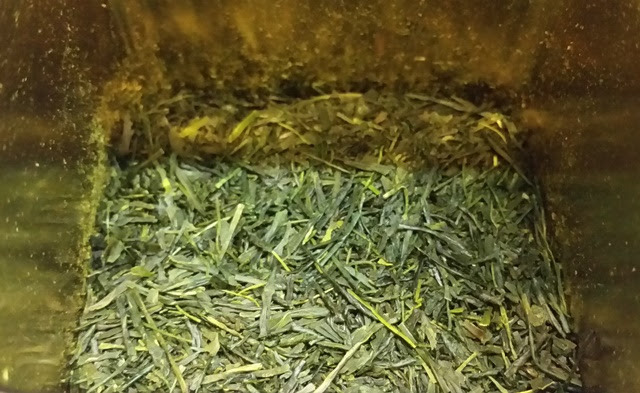 Fresh teas are produced in the spring by local custom and to local preference. 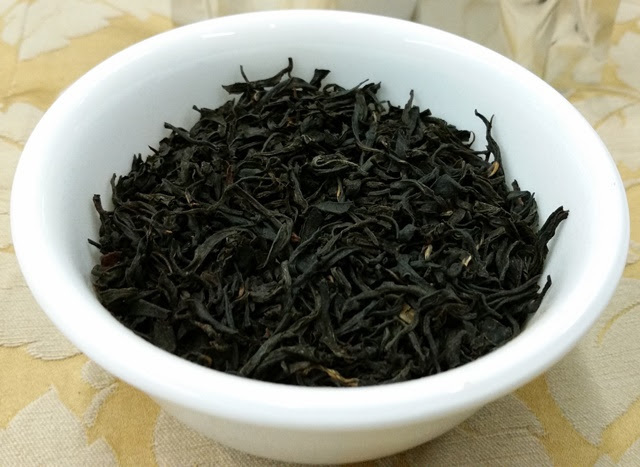 Green Monkey: Mei Zhan varietal (originally a black tea) from China's Fujian Province with savory, starchy, and green notes. "Monkey" generally indicates a high grade tea. Feng Huang Dan Cong: Tieguanyin varietal from China's Guangdong Province with floral notes throughout 7-8 steepings. Black Fragrance Rare: Mei Zhan varietal from China's Fujian Province with notes of molasses and dark bread. 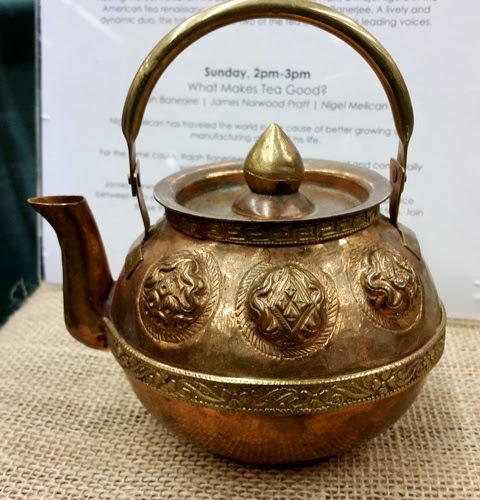 Rajah Banerjee, a pioneer of organic agriculture, shared his experience and understanding of sustainable tea production. Makaibari Tea Estate receives an average of 100 inches of rainfall annually. Rajah Banerjee's father had noted how forest leaves protected the soil from eroding. From this they developed a four-layer leguminous mulch which provides nitrogen to the tea plants and suppresses leaf production without harming the plants while also preventing erosion and landslides all over the six months it takes to decay. 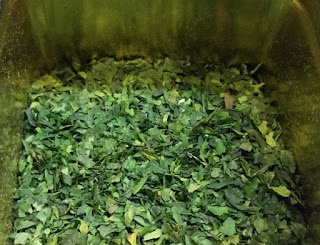 Nutrients returned through the leguminous leaf mulch replace nutrients lost with the plucking of tea leaves. 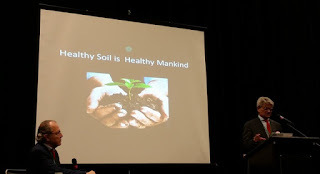 Rajah Banerjee also discussed the cultural significance of cows and the vital agricultural role they perform. James Norwood Pratt hosted a rousing discussion and debate with Rajah Banerjee and Nigel Melican on the viability of large-scale sustainable tea production. 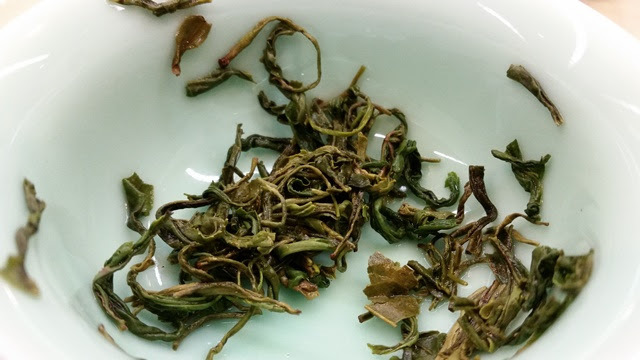 Shiuwen led a tasting of several delicious varieties of Dong Ding oolong which is also commonly known as Tung Ting and translates literally to "Frozen Peak." 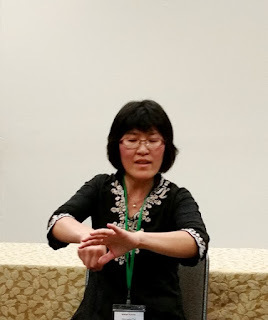 Along the way, she shared delightful and amusing stories of her tea adventures in Taiwan and explained how to understand and appreciate the feel of tea in the mouth and throat. 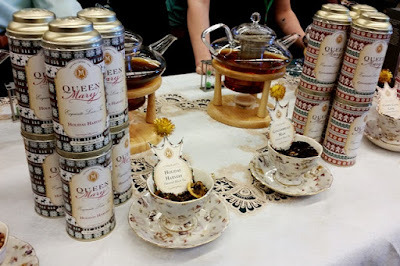 She also provided useful tips for tea buyers including tasting the base tea before purchasing a blend, as blending can be used to hide bad tea. 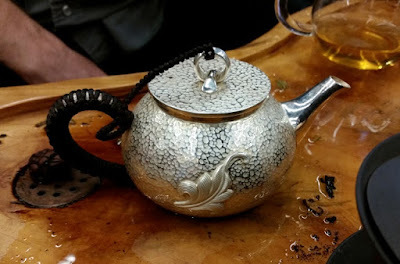 Similarly, superficial roasting can be used to cover bad (dead) tea. Shiuwen will begin filming a documentary about tea and tea masters in Taiwan in June 2017 and a crowdfunding campaign is set to kick off in January. Visit the Floating Leaves Tea website for more details after the New Year. Throughout the workshop, we tasted multiple infusions of the following teas. Charcoal Roasted Dong Ding (3-Roast, 2015 Harvest, 2016 Final Roast). 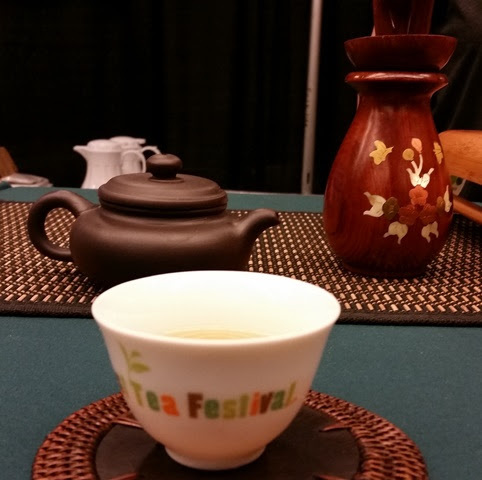 After two tea-filled days, the 9th Northwest Tea Festival came to a close. Thanks to all the volunteers and presenters who worked so tirelessly to make this event a success! I'm looking forward to celebrating the festival's 10th Anniversary next year! Summed it up better than I could. Sounds and looks like a stellar event! Thanks so much for posting such a thorough and thoughtful piece for those of us far away! Thank you! I hope you'll be able to attend one day soon!